Although the summer heat can be quite intimidating, the best part of the season is the variety of healthy and delicious fruits available in the market. The good news for fruit lovers – apart from enjoying all the sweet mangoes – is that you can watch out for lots of other delicious choices. Lychee, dragon fruit, guava, passion fruit, watermelon, pineapple, grapes, berries, and plums are just a few. But if you’re looking for a fruit that comes with a variety of health benefits, keep an eye out for dragon fruit. Boosts immunity. Dragon fruit or pitaya is rich in vitamin C, and as suchit boosts immunity levels and stimulates the activity of antioxidants in the body. This fruit fights various diseases and helps restore essential vitamins and minerals such as calcium, phosphorous, and iron. The vitamin C present in dragon fruit flushes out the harmful toxins and free radicals from the body. Good for the heart. One of the essential health benefits of dragon fruit is it fights against cardiovascular problems. 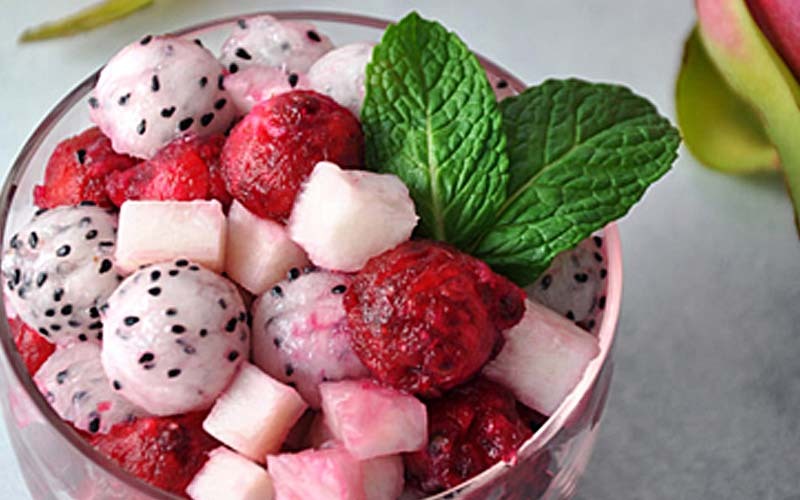 Dragon fruit contains zero cholesterol and the tiny black seeds within the fruit have high levels of polyunsaturated fatty acids, which are very healthy. These natural fatty acids help lower triglyceride levels, which further keeps the heart rate normal. An added benefit of dragon fruit is that it reduces the oxidative stress, one of the leading causes of heart problems. Good for the eyes. Did you know that dragon fruit is good for the eyes? 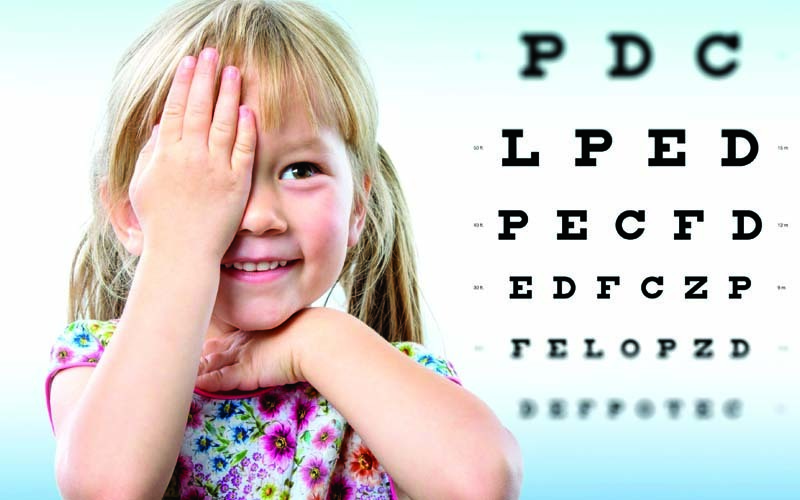 Yup…this miracle superfood is loaded with vitamin A, in the form of carotene – which is essential for maintaining healthy vision. 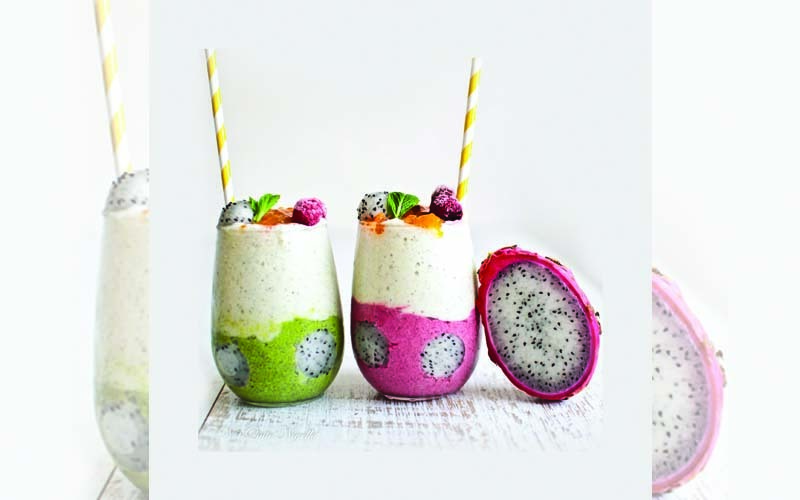 Vitamin A Deficiency can cause night blindness and age-related eye problems, so incorporating dragon fruit into the diet can be highly beneficial. Prevents cancer. The carotene in dragon fruit has anti-carcinogenic properties as well, and so it reduces the growth of tumour cells. 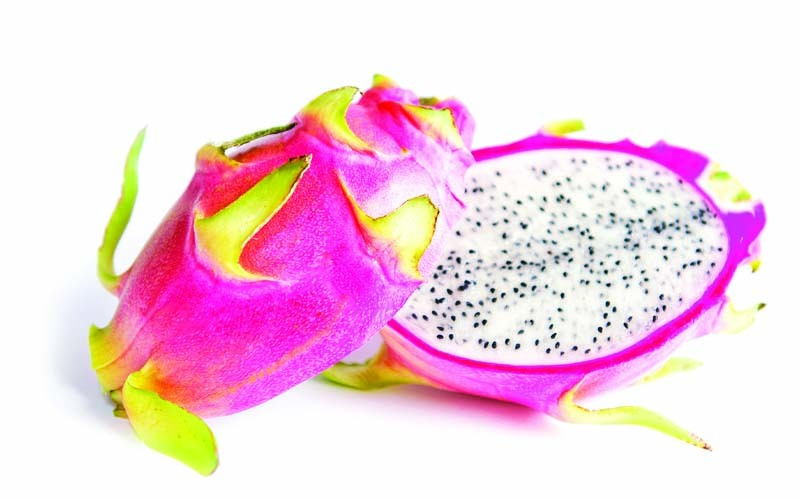 Dragon fruit seeds help fight against free radicals that cause cancer. The presence of vitamin C can improve the lives of patients suffering from cancer by helping to restrict the size of the tumour. Apart from this, this fruit is also known to remove toxic metals that are responsible for the formation of tumours in the body. Glowing skin. 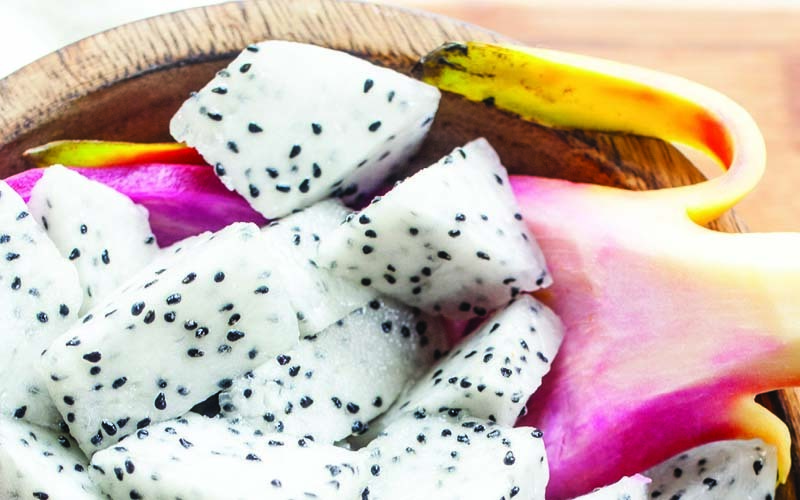 Like many other fruits, dragon fruit can help one achieve beautiful, glowing skin. The small, black seeds within the fruit contain monounsaturated fats that make your skin look flawless. This fruit cleans all the free radicals and toxins from the body and makes the skin flexible, tighter, and yields a youthful complexion. Helps the nervous system. This tropical fruit is rich in vitamin B-complex, which aids in the development and protection of the nervous system. B-complex vitamins ensure promote the healthy growth of nerve cells by making them more active, so that you experience better mental clarity.